The iPod and iTunes Store really pioneered the one-song model. In the following years, mobile broadband would improve that slowly eliminates the need to download and users are more accustomed to streaming their music. From the recent digital snapshot that already shows some of the Middle East countries leading in mobile broadband, audio/video streaming has been on the rise that it eliminates the need to download (unless you travel to a place with poor connectivity, hence you save things to your phone). You’d expect Apple Music to take the lead in the region given their integration with the iPhone, but even Apple hasn’t completely made it available across the region and not every country has it (Qatar only has iTunes Match, and Kuwait doesn’t have anything at all). If there are 2 names that people in the region would be familiar, it would be Anghami (for the Arabic music listeners) and Spotify (for those listening to non-Arab music). While the former has had a strong foothold in the region that’s been steadily growing, that’s about to change with Spotify planning to officially debut in the Middle East. Founded by Eddy Maroun and Elie Habib, Anghami’s rise has not been without its challenges since its humble beginnings in 2012. They would eventually carve out a niche with streaming Arabic music and slowly adding international options to cater to a more globalized audience. It’s a definite plus point for them that there would be diasporas of Arabs outside the Middle East & Norht Africa region who use their service. Aside from having a Free option (listening to music at very good quality with ads), they have approached their Plus upgrade in a unique way – partner with the mobile carriers in each country to drive adoption of their service. That means a different payment option that would leverage carrier billing, hence bringing more users to its service. Their most recent update brings a ‘dark mode’ that’s easy on the eyes, accompanied with improvements to the listening and navigation experience. Spotify is just about to complete its 10th anniversary. As a public trading company, they also have to answer questions about their future growth. As much as they’re an established name, they are not easily available in other countries (users would have to circumvent the geofencing by using VPN). It’s the one music streaming service where people go to listen to the latest Billboard and Grammy-winning artists. But when it comes to adding regional-inspired music in some of their markets, it’s been a hit-or-miss prospect. If it’s growth they’re looking for, they’ve had their eyes set on the Middle East and North Africa region for quite some time. Although they’ve been posting new job vacancies for their Dubai office, one job posting circulating caught my eye that’s focused on offering Middle Eastern music. Shared by none other than their MD for the MEA region, and the role would be based in Dubai. The key part about this role is having knowledge of music from this region, which is a direct hint that they’re looking to beef up their music catalogue for Arabic music to cater to the region. There’s already a host of new vacancies for Spotify at their Dubai office, and here’s hoping they get filled if they want to hit their deadline. They’re probably running against the clock to roll out in waves, and they’d have to do it just before the start of the 2018 winter holidays. Competition is always good for us. Many would have assumed that Spotify would just acqui-hire Anghami, but that would have been just too easy and beef up the former’s music catalogue. Even Apple could have done the same to address their major shortfall of Arabic music. Music-streaming will grow across the Middle East as mobile infrastructure allows listeners to enjoy music with minimal bandwidth restrictions, hence fueling new advertising opportunities for brands. Spotify has a lot of catch-up to do in this region and they can’t just renege on their global name. 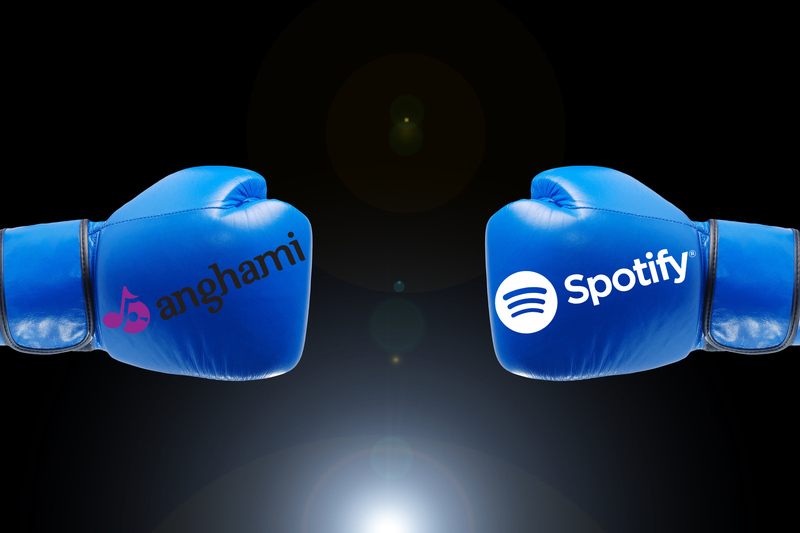 If they don’t have the hook that would bring users to their service, they’re facing a slightly uphill battle that could widen the lead between them and Anghami.